Who doesn’t love salted caramels, am I right? On our most recent day trip to Portland, ME we had the best salted caramel ice cream in the world at Mt. Desert Island Ice Cream. I vowed right then and there to make my own at home. Thankfully I had already seen the recipe in my copy of David Lebovitz’s Ready for Dessert (which I bought at Powell’s on Day 5 of our Portland honeymoon, in case you forgot). 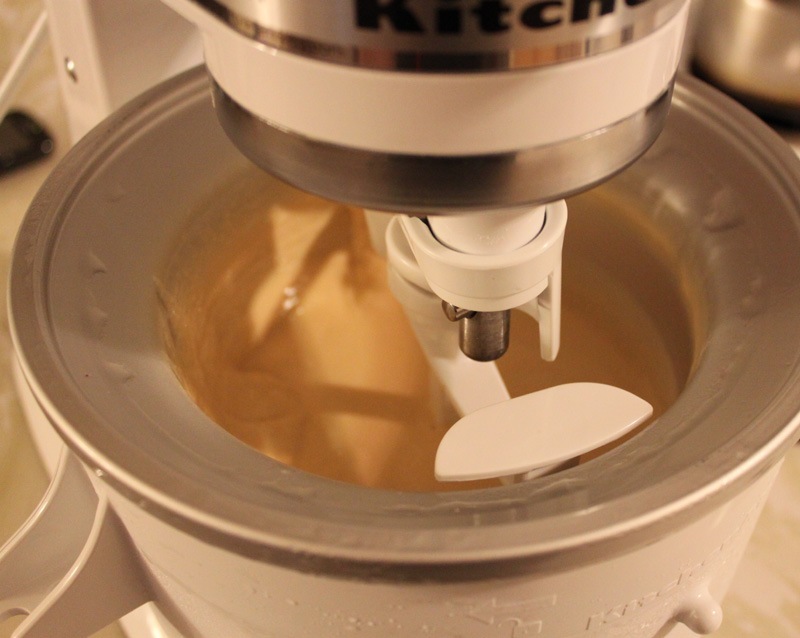 I adapted the salted caramel ice cream recipe from the book just a bit to make it my own. 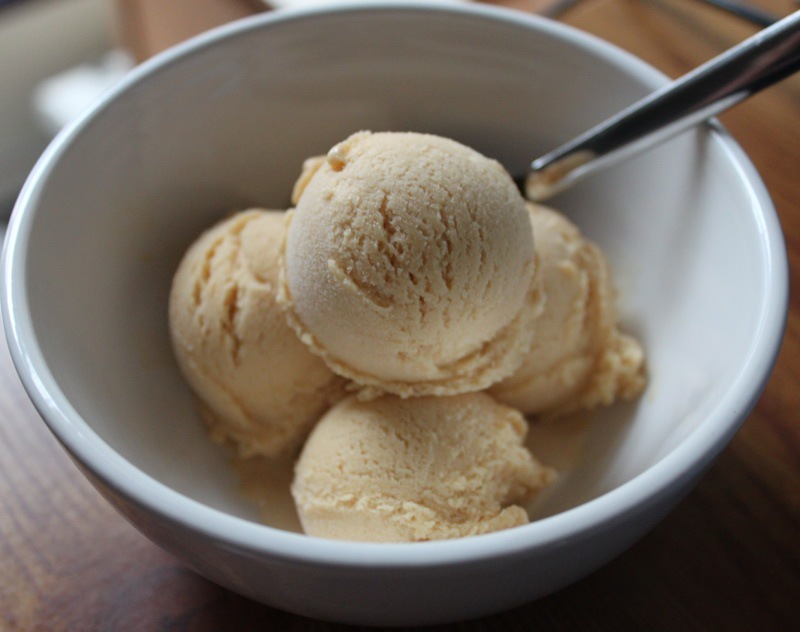 This is, of course, not to be confused with Lebovitz’s salted butter caramel ice cream, which I also plan to make sometime soon. 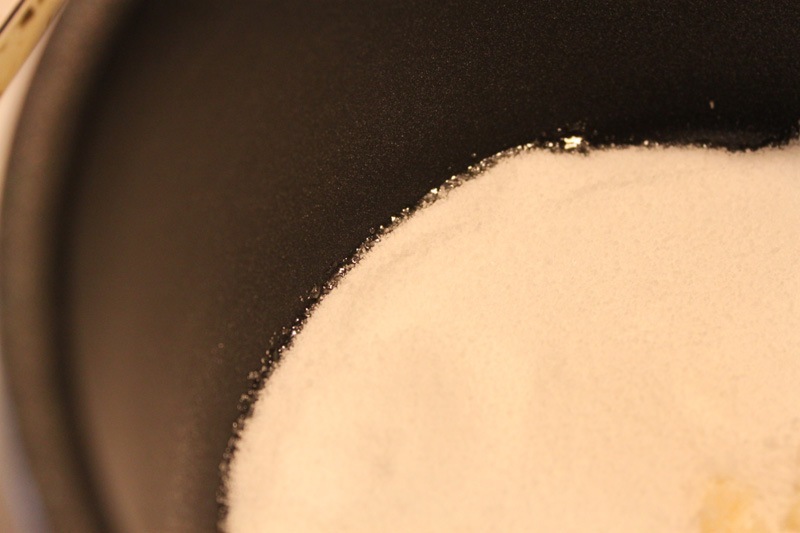 Start by spreading out your sugar into an even layer in the bottom of a saucepot over medium heat. Leave it alone until you see it start to bubble around the edges. 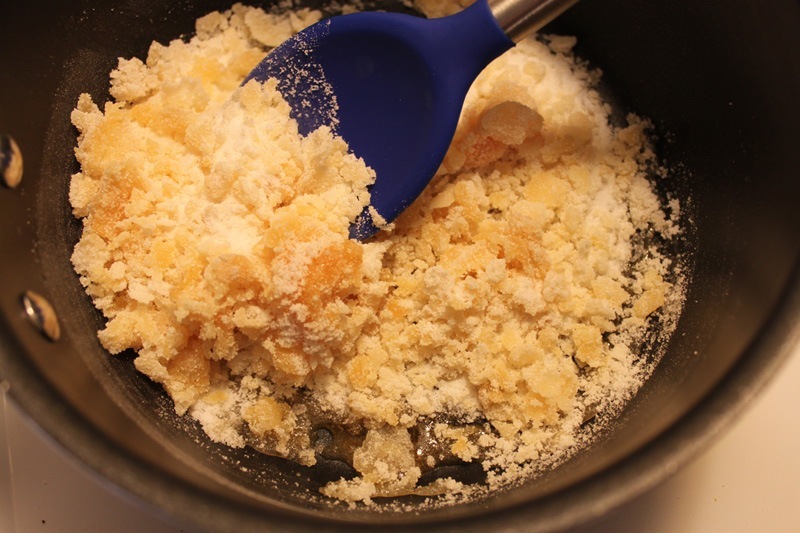 At that point stir the sugar to combine the melted bottom layer and unmelted top layer. Don’t overstir though! 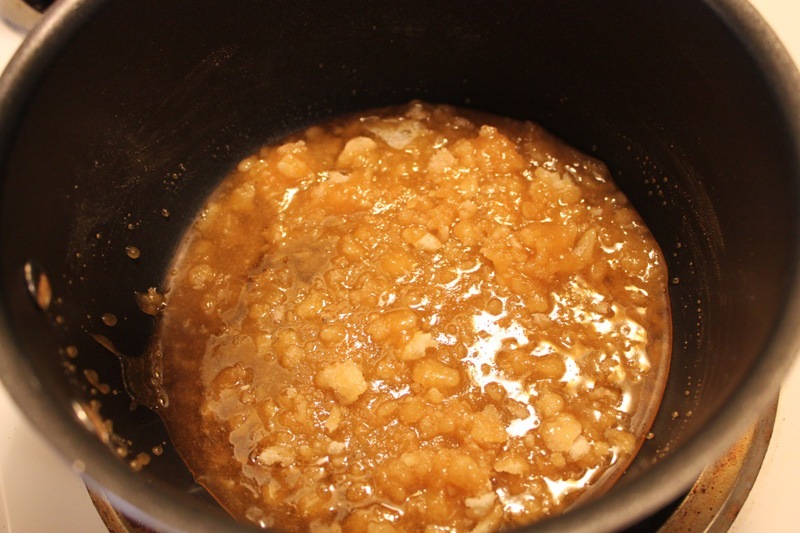 Just make sure you’re constantly combining the melted and dry sugar until it’s all melted and a deep amber color. Lebovitz says you want to take it just to the brink of burning. Me? I pulled it probably 2 minutes away from burning, I don’t take risks like that. 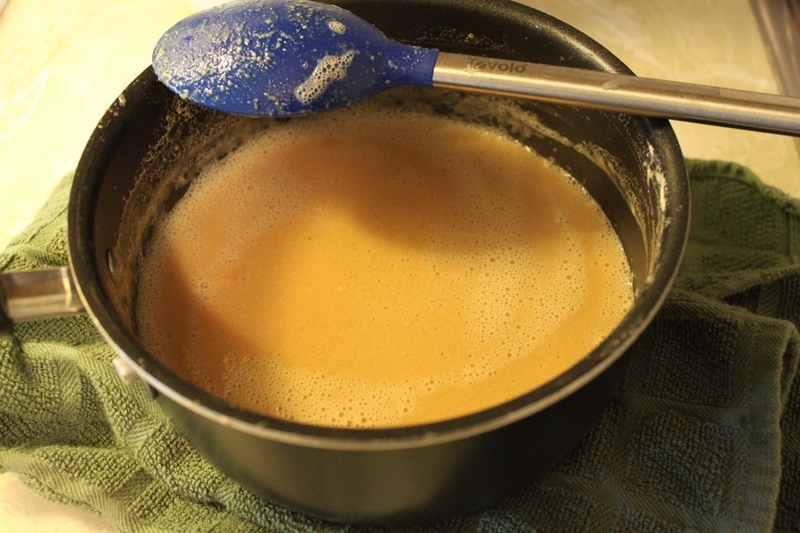 When the caramel is done take it off the heat for a second and stir in your milk and vanilla (which I combined together in a bowl beforehand). Ok, I don’t have a picture of this step because it happened too fast to snap one. When you add the milk it’s going to bubble up violently. Take a step back and let it do it’s thing. 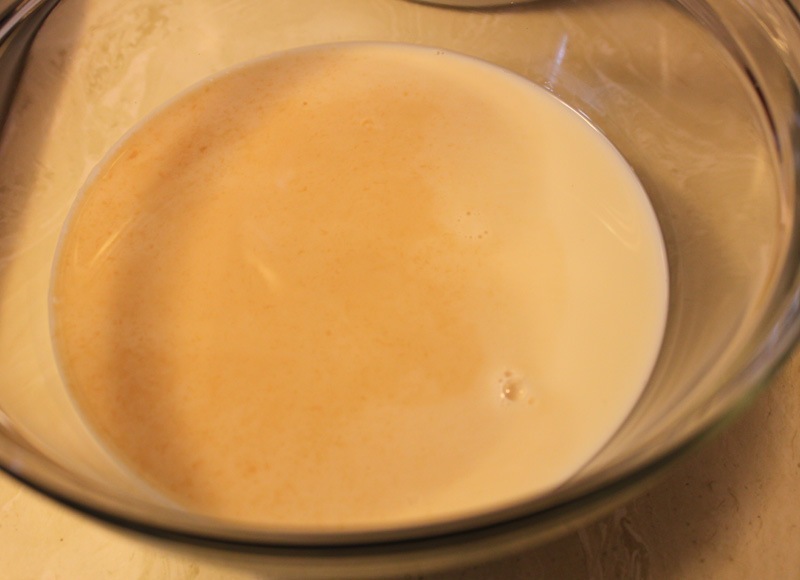 The cold milk is going to make the caramel immediately harden. Don’t worry! 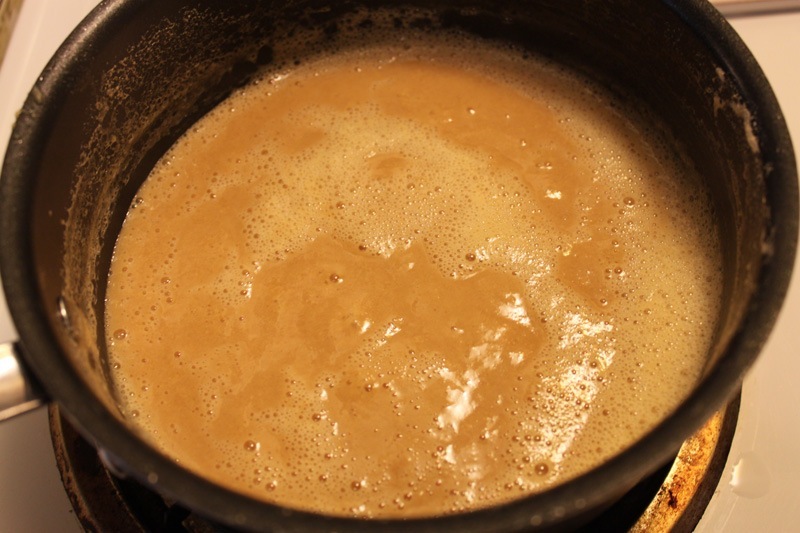 Return the pot to medium heat and keep stirring – it’ll dissolve in 5-10 minutes. 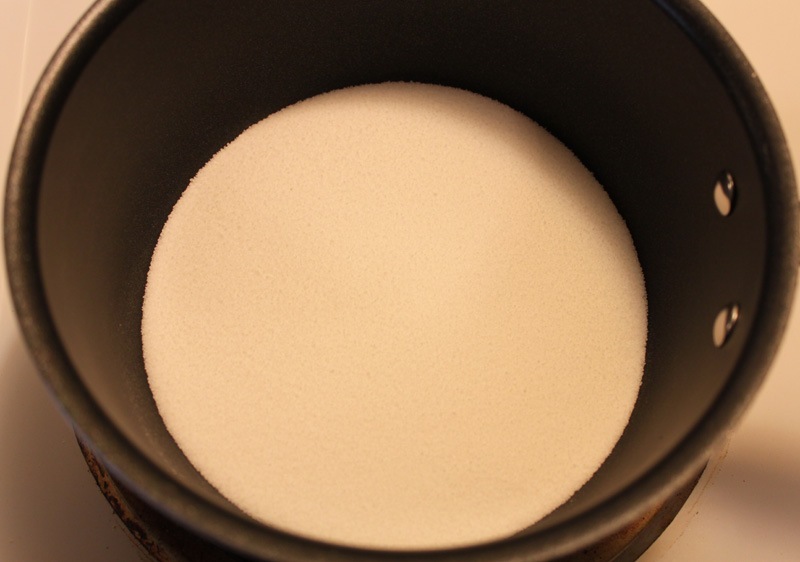 As you’re stirring your milk and caramel mixture you can add in your sea salt. 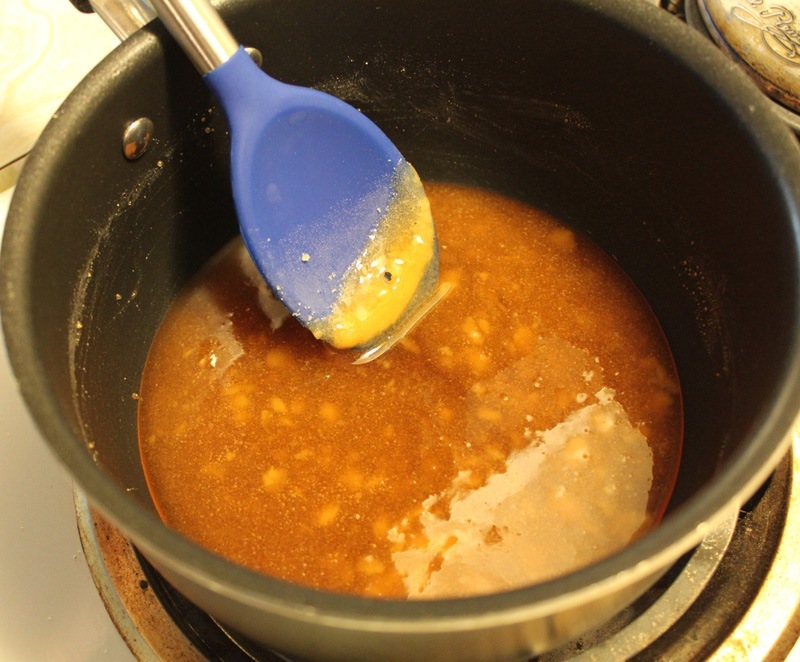 Once your caramel is all dissolved into the milk you’re going to temper in your 4 egg yolks. Sorry, no pictures of this but you can find some in the archives here. 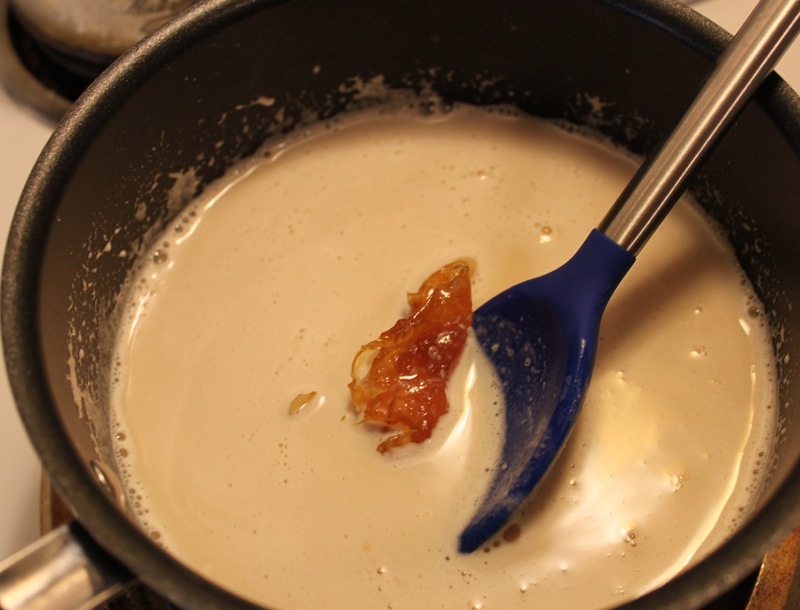 Keep the egg/caramel/milk mixture on low-medium heat, roughly 15 minutes, until it thickens into a custard. 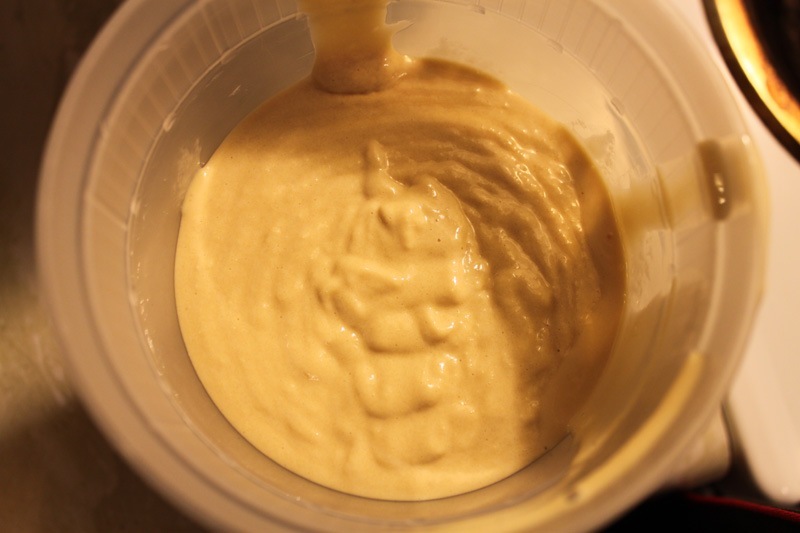 Once the batter has thickened enough, cool completely. This took about 35 minutes for me. 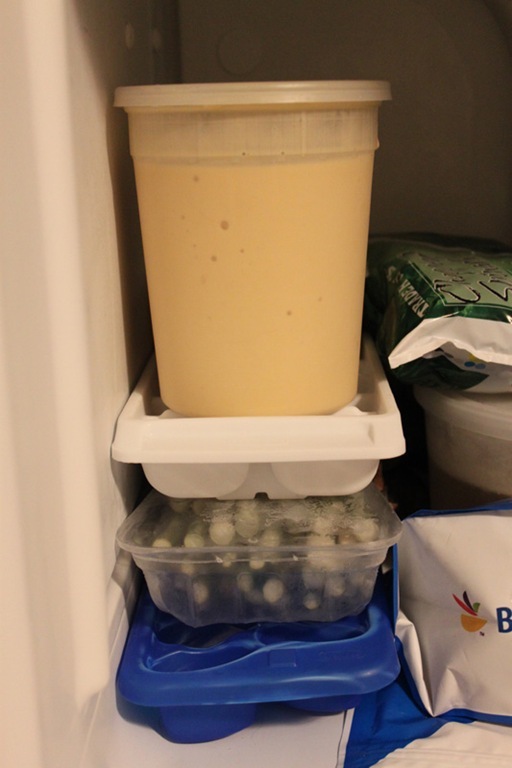 After about 25-30 minutes I transferred the soft-serve-like ice cream to the freezer to chill overnight. This ice cream was just as good as the stuff we had in Maine. Ok, well, maybe not exactly as delicious but in my defense that ice cream shop uses super high fat sweet cream in their recipes which I can’t compete with! Anyway, this came out amazing. 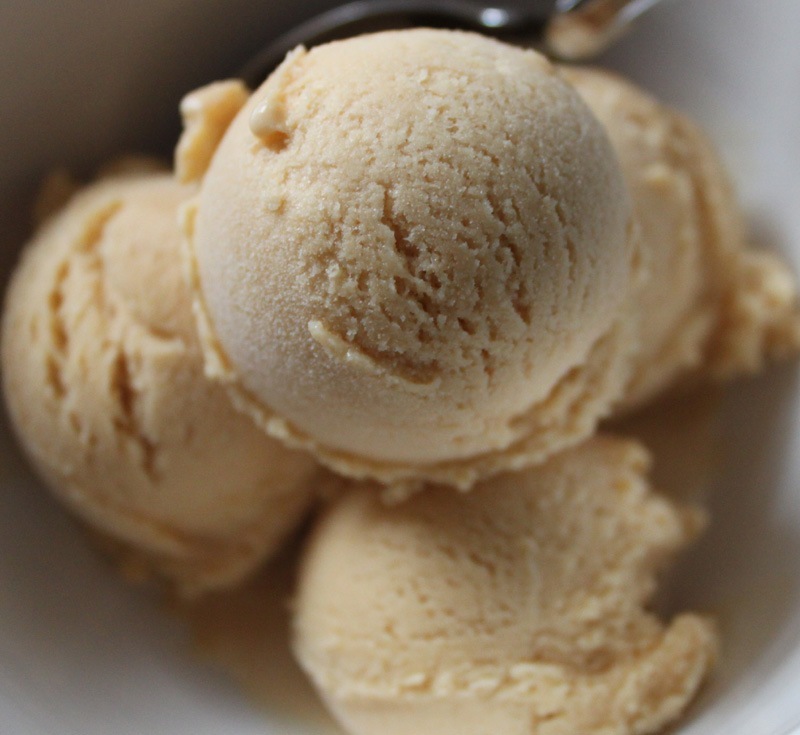 Sweet, salty, buttery, creamy, and smooth. 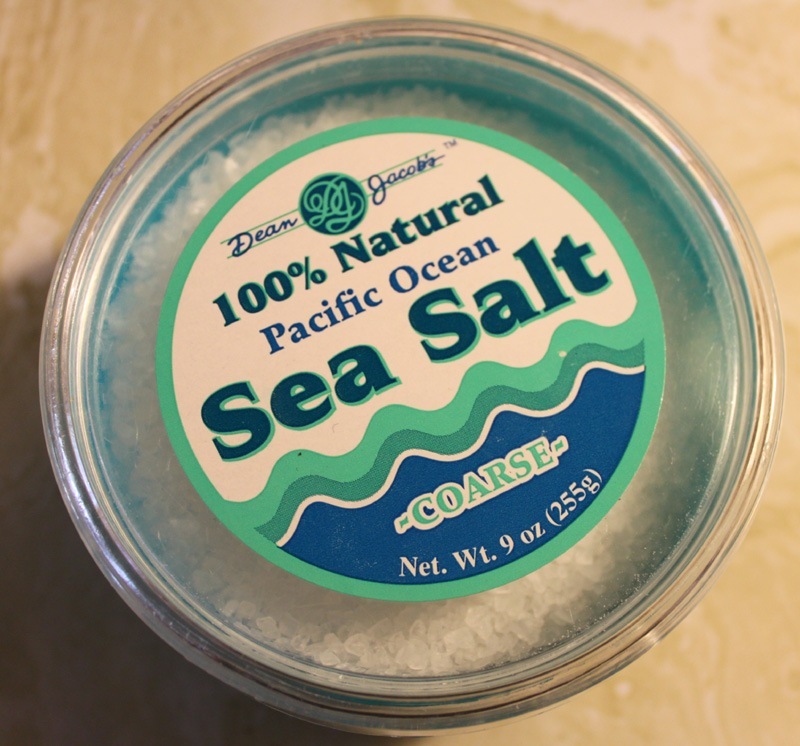 I could eat this everyday forever. No joke. I want to sit down and cry because it’s in your freezer….although that may be a good thing because I tend to over indulge. Can I have one small scoop to go? Holy crap, this looks awesome. Have you read DL’s Sweet Life in Paris? I got back from France a few months ago and he was my guide… best trip of my life. Seriously, Italy has NOTHING on Paris! 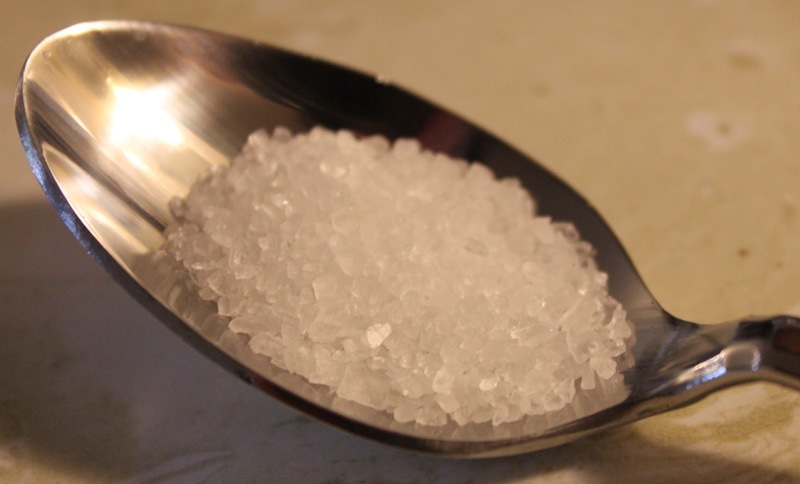 what sugar are you using? 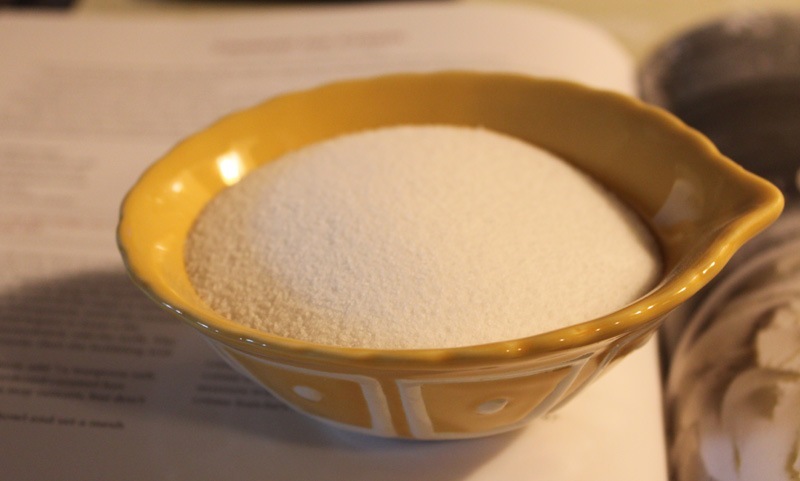 Just regular old white granulated sugar.